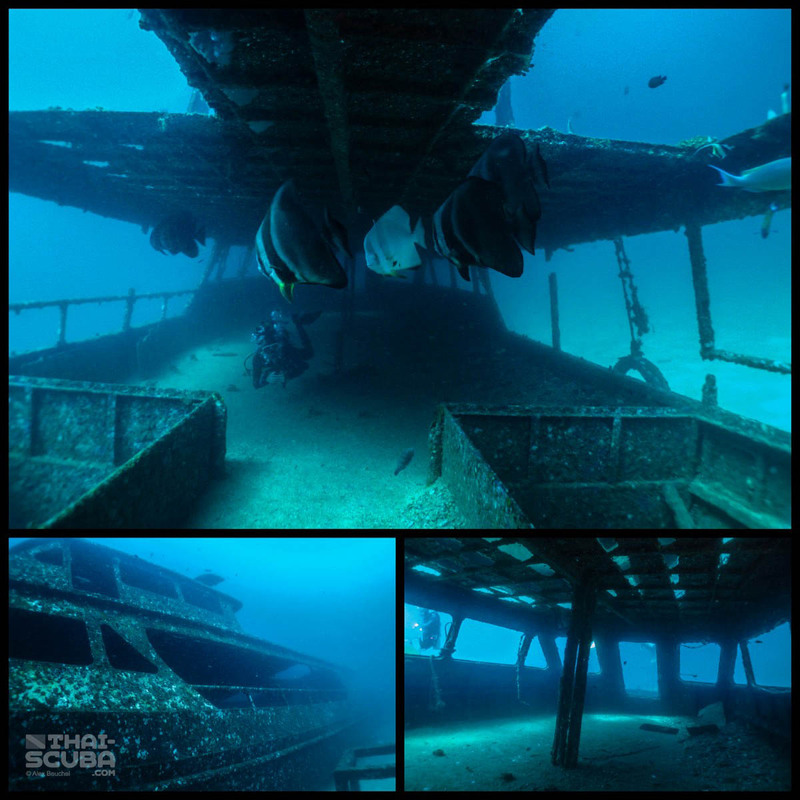 The Harruby Wreck was sunk on 19. 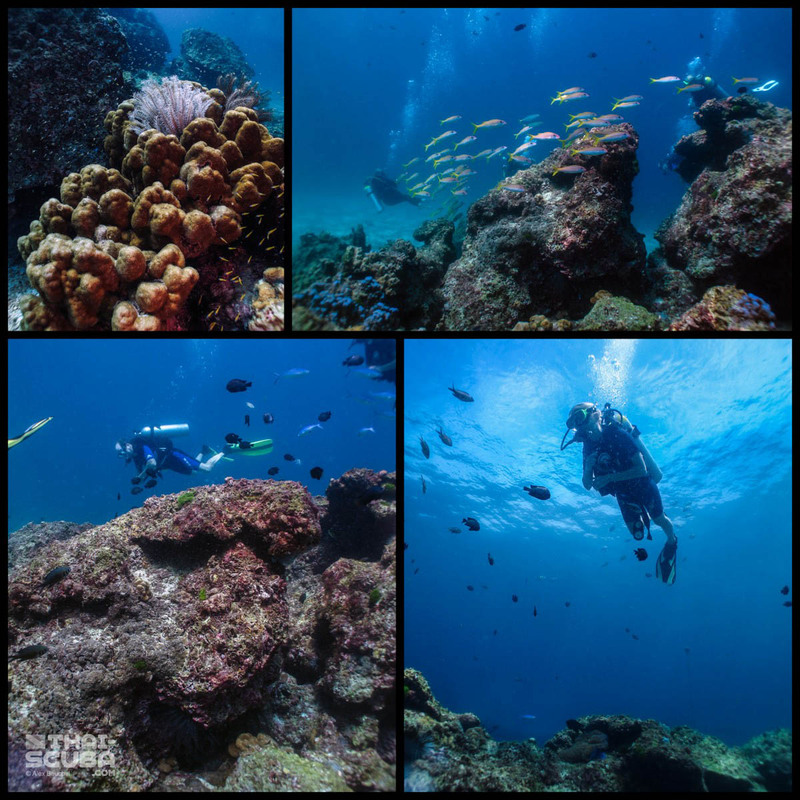 May 2011 at Bay 1 (the northernmost bay) of Ko Racha Yai. 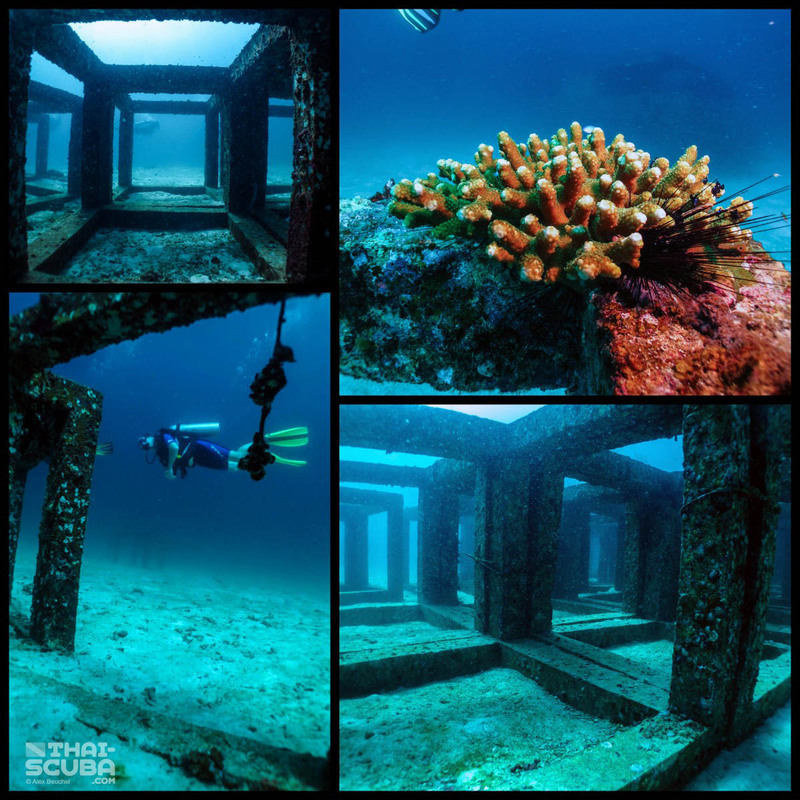 To be honest, the wreck and the adjacent artificial reef concrete cubes are the only things that make the bay a dive site since there is nothing else to see. 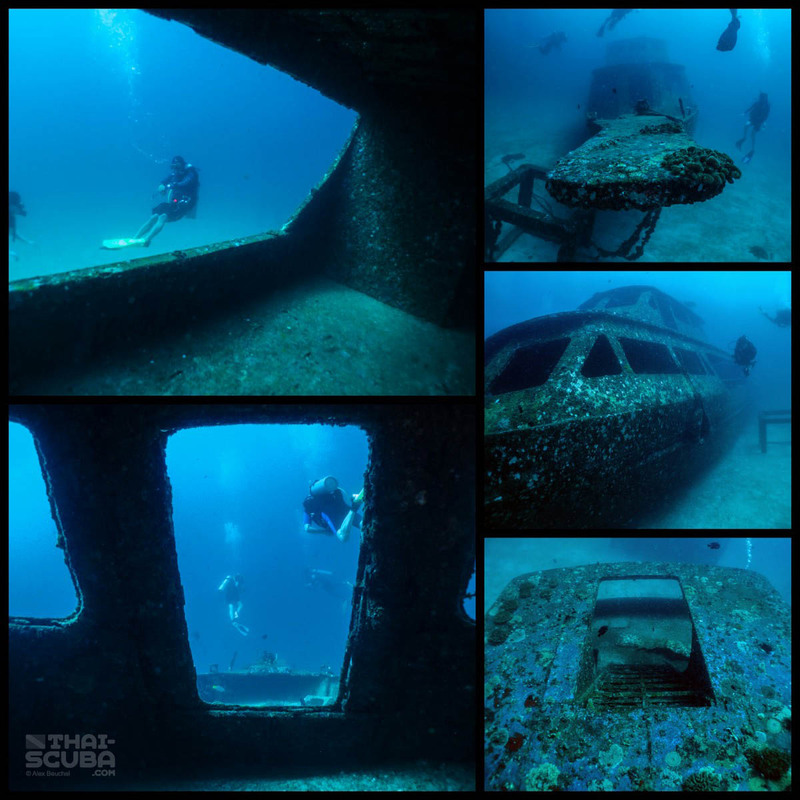 The ship used to be a snorkel and dive boat and was then donated by the Racha Resort to the Department of Marine and Coastal Resources to be used as an artificial reef. 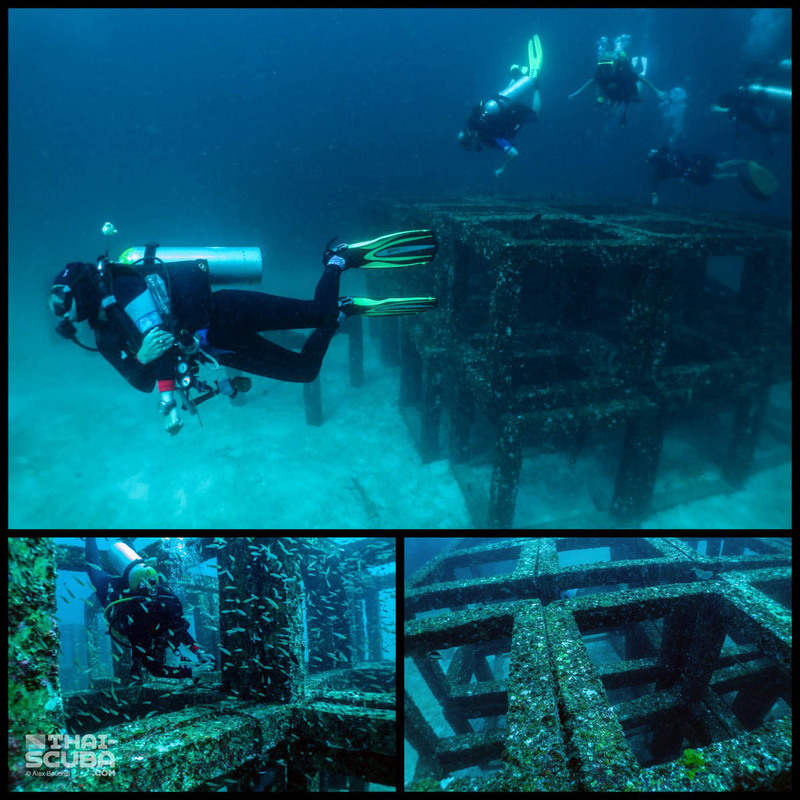 The wreck is an easy one to dive at a depth of only 20 meters with easy swim throughs as the structure is widely open to all sides. 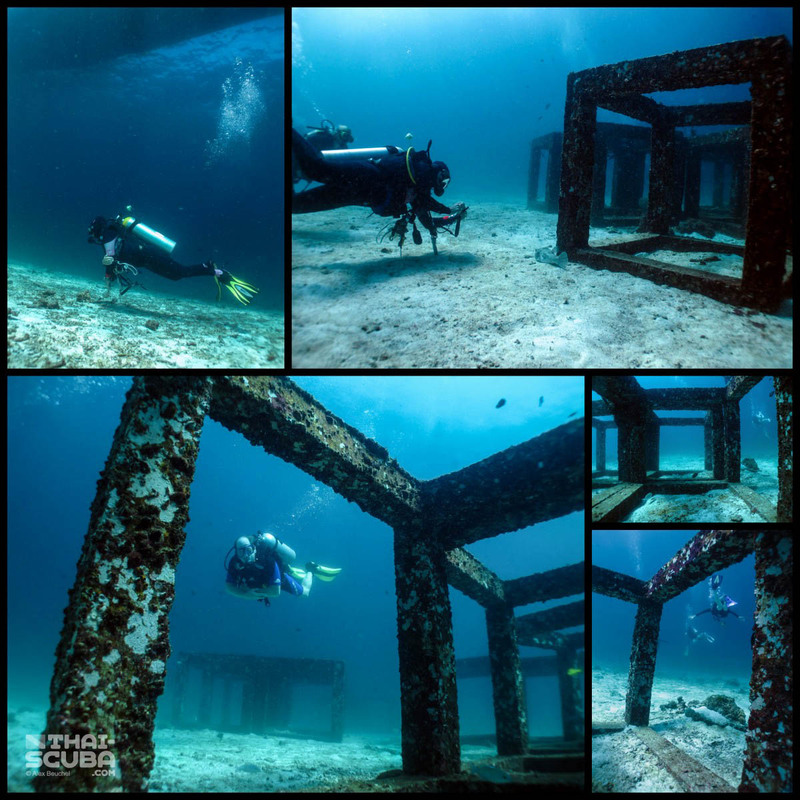 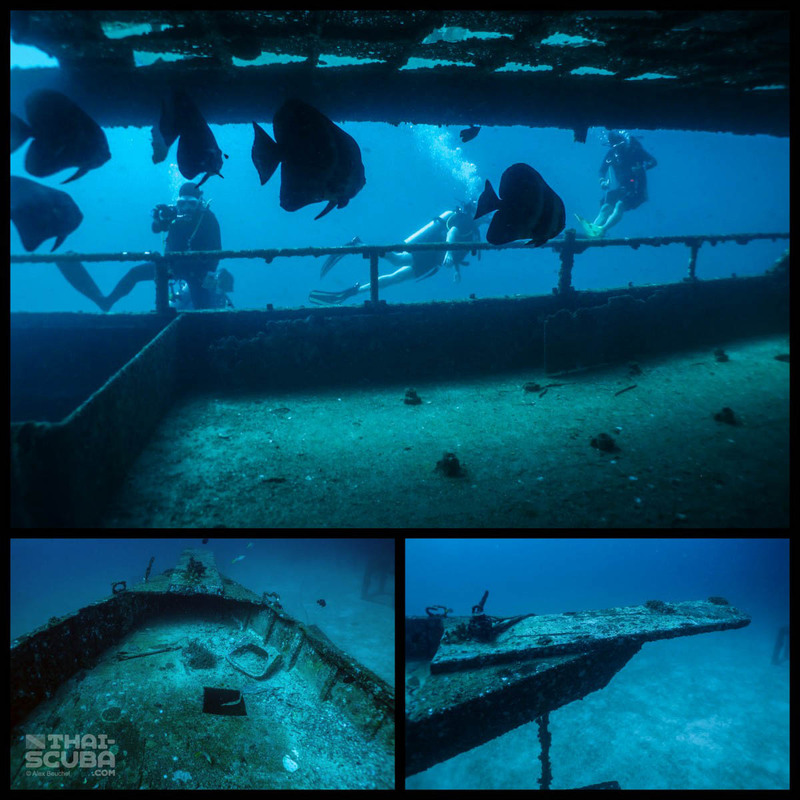 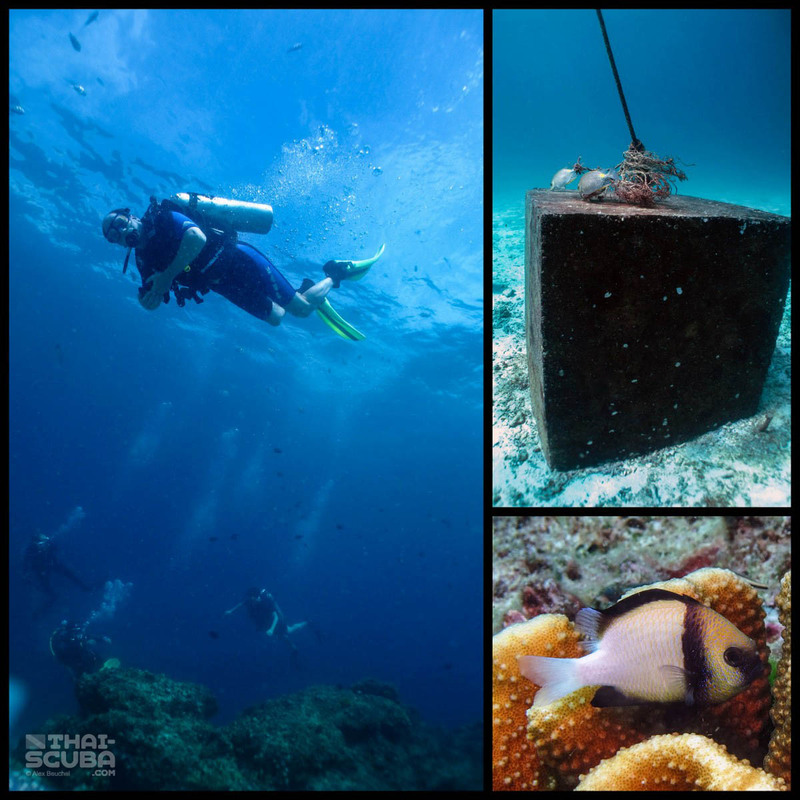 Since the simplicity of the stripped ship not necessarily offers fulfillment for an entire dive, a visit to the wreck is usually combined with the exploration of the artificial reef cubes which are scattered all around in the area. 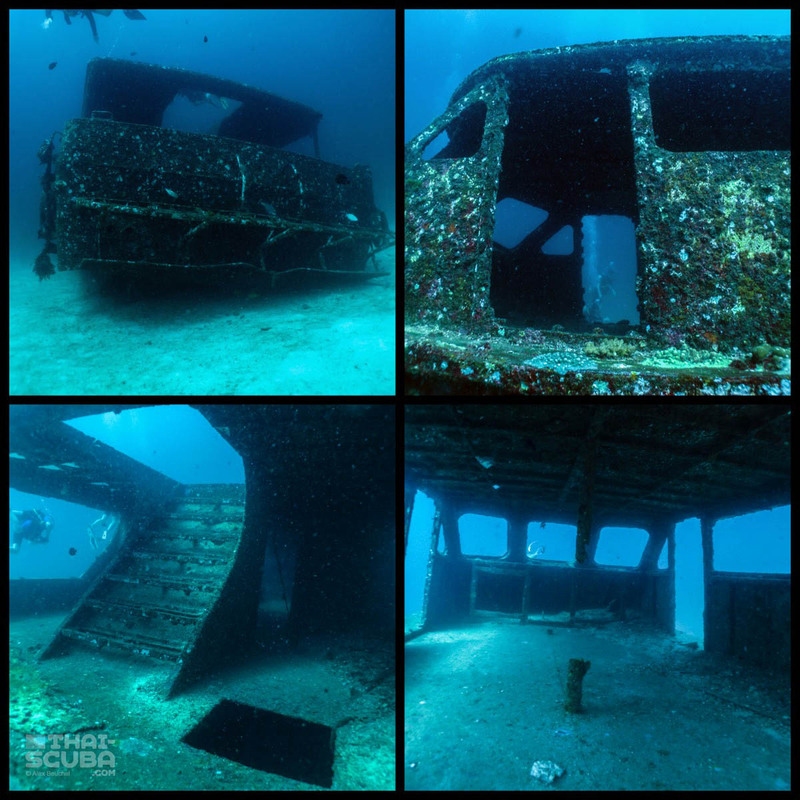 A short distance away are the remnants of a much smaller Thai fishing boat – so in a way the dive site is a “double wreck”. 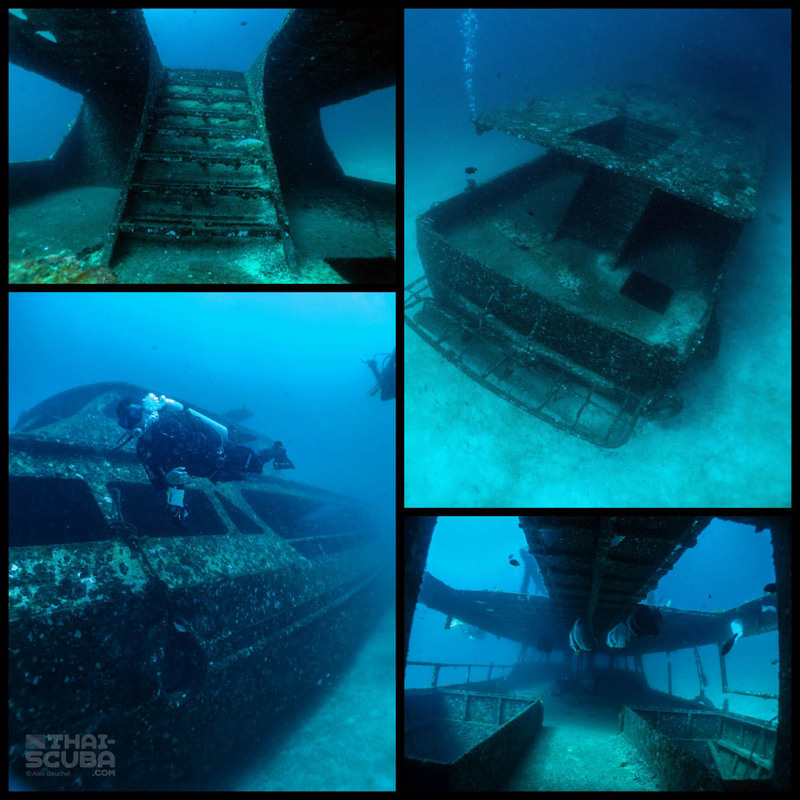 Here the dive of the Harruby Wreck as video footage.